If you are looking after a loved one and you need some support, you could think about having a carers’ assessment. Support for carers can come in many forms, including respite care, carers’ direct payments and peer support for carers to help you continue caring. Has a physical disability, learning disability, or a mental health condition. Has sight, hearing or communication difficulties. Has a long-term health condition. Has a drug or alcohol dependency. Going to the toilet, or dealing with incontinence. Eating or feeding, and taking medicines. Getting about at home or outside. Practical help at home, keeping them company. If you provide regular, unpaid support to someone who could not manage without your help, you have a right to have your own needs assessed, even if the person you care for has refused support services or an assessment of their own needs. This assessment is called a carers’ assessment and gives you the chance to tell your local authority what you need as a carer, and to find out what support is available to help you. Your local authority, or a carers’ organisation partnered with the council, will assess whether you have needs as a carer and what those needs may be. Your assessment is not a test of your abilities as a carer. The impact of caring on you. What difficulties you may be facing and how you manage them. Things that you want to achieve in your day-to-day life. It must consider other important issues, too, such as whether you are able or willing to carry on caring, whether you work or want to work, and whether you want to study or do more socially. You should also speak to your GP who may be able to offer you additional support, even if you aren’t eligible for support from the council. 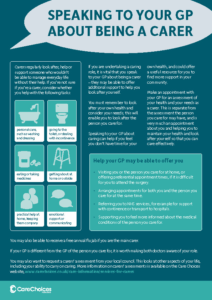 Download our information guide to see how your GP might help. National carer’s eligibility criteria will be used to determine if you have eligible needs. If you have eligible needs the assessor will discuss the options available to meet those needs. If your needs are not eligible you will be given information and advice. Do your needs arise because you are providing necessary care for an adult? Do these needs mean you are unable to achieve any of the tasks or ‘outcomes’ below? As a result of this, is there, or is there likely to be, a significant impact on your wellbeing? You need to meet all three of the criteria to be eligible. Care for any children or other people you are responsible for, as well as the adult you are caring for. Maintain a habitable and safe home environment for yourself. Maintain other personal relationships, including with your family. Take part in work, training, education or volunteering. Make use of facilities or services in your local community. Have free time for hobbies and relaxation. Respite services offer support for carers to take a break from their caring responsibilities, so you can have some time off. The breaks could be regular or just when needed and can be as short as an afternoon or as long as a few weeks. Replacement support for a respite break could mean the person you care for living in a care home for a short period, or hiring a live-in care service or home care agency to come in and look after the person you care for. Respite is considered to be a service for the person you care for, as the replacement support is provided for them, so if they have a personal budget or direct payment for their own needs they could use that money to pay for it. A financial assessment of the person being cared for will confirm whether they need to pay towards the cost of this service. If you have had a carers’ assessment and it has found that you are eligible for a short break or respite, you may be given a carers’ direct payment to pay towards the cost of a holiday or trip out. If you are caring for someone and need some support, you can find details of your local carers’ centre here. You can also find details of Adult Day Care Centres. 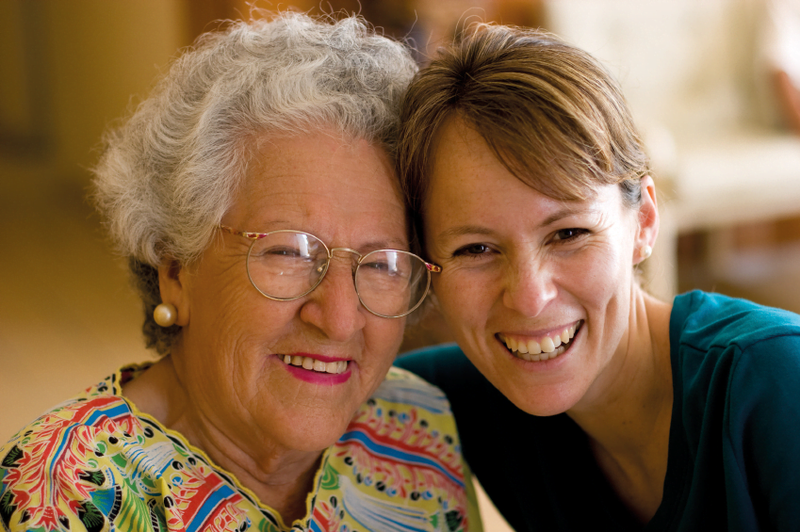 To look for respite care, click here. Explore whether you are entitled to Carer’s Allowance. You might be eligible if you care for someone for more than 35 hours a week and if that person is receiving certain benefits, like Personal Independence Payments or Disability Living Allowance. The rate for Carer’s Allowance is set at £64.60 per week. This may change after April 2019. You can claim Carer’s Allowance online on the Gov.UK website. You may also qualify for Carer’s Credit if you care for someone for 20 hours a week or more.